This kind of bus however is good for taking pictures out of the window! 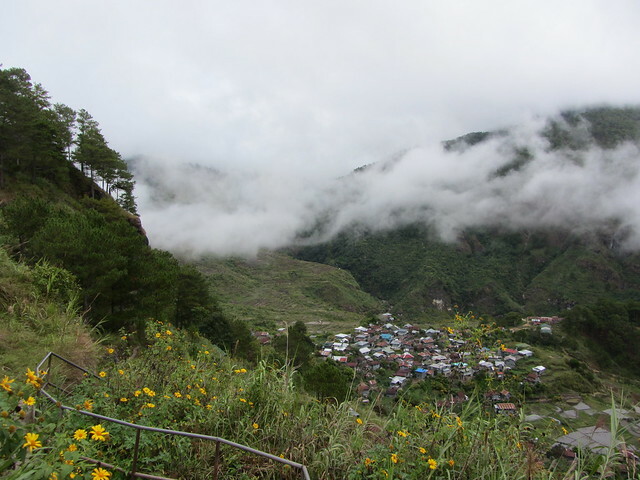 The journey to Sagada was about 6 hours going north and deeper into the mountains. It was only so long because the roads follow the edges of the mountain, if this was England we would've dug a straight tunnel under it all by now that would take less than two hours! This road of course is their lives and you could always see people building and fixing support walls at the sides to stop the land slides. 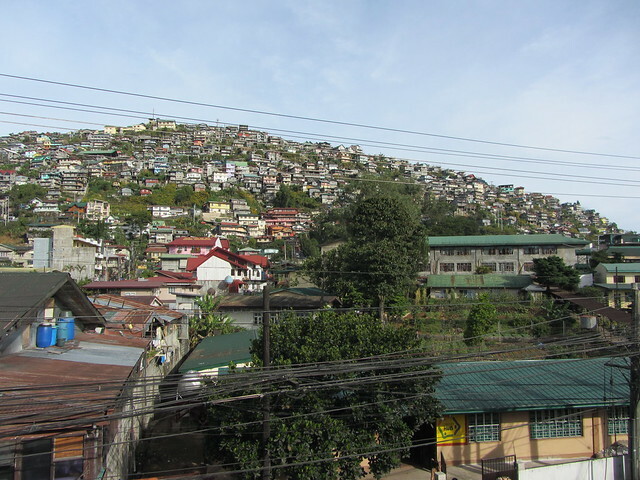 Here are my views from the bus, first still leaving Baguio city. And now into the beautiful mountain providences. 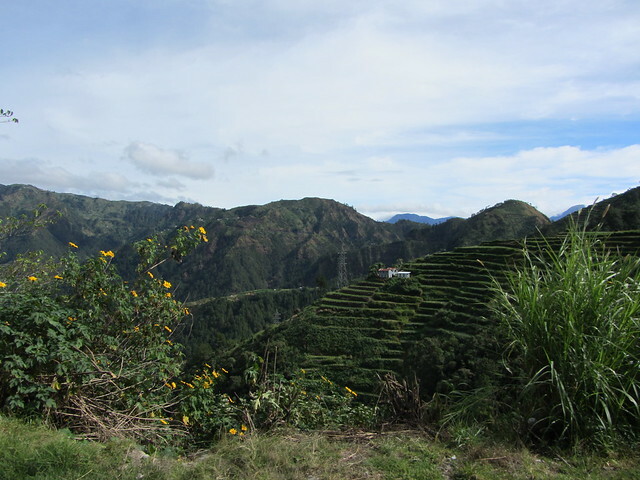 Do you see the rice terraces? You can see how the dramatic landscape just goes on and on. Sometimes we crossed at the top between two mountains so you could just see never ending views like this on both sides. We really were cut off from the rest of the world out here! 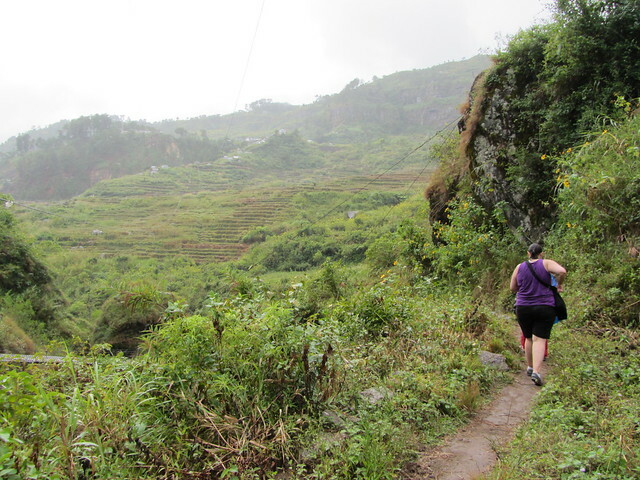 And sometimes the road dipped down into the valley so you could see a river and shack houses and mountains and rice terraces, just beautiful! 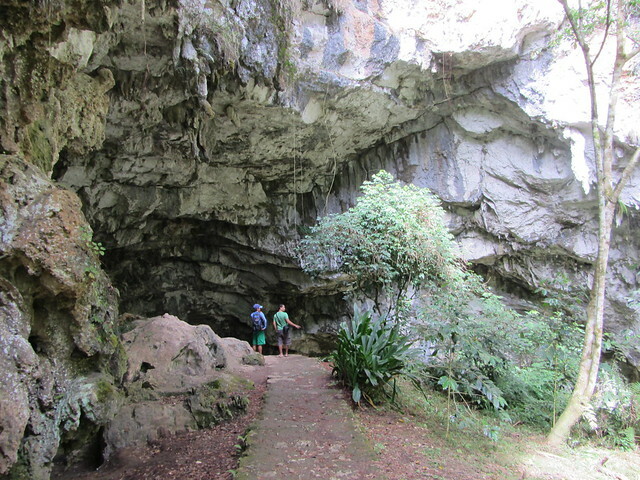 We finally arrived in Sagada, a tourist town famous for hanging coffins and caves! There were other white people here, it all centred around one road and was very civilised. It was kind of surprising after the bus journey but apparently everyone does it because this is the place to be! 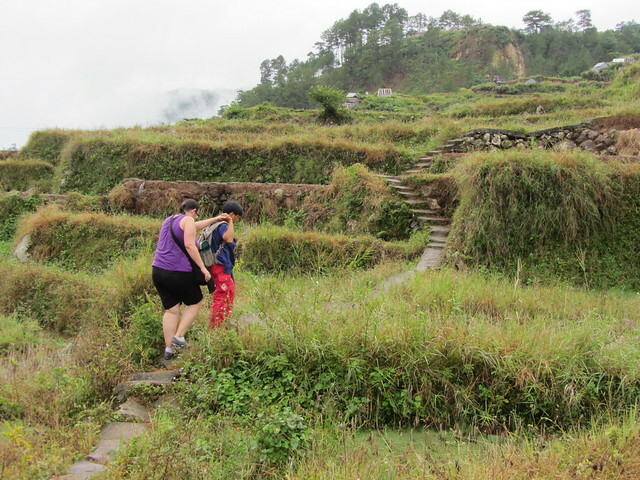 We checked into the Sagada guest house, registered with the tourism office who provide the tours, and went for an explore. Then it rained! 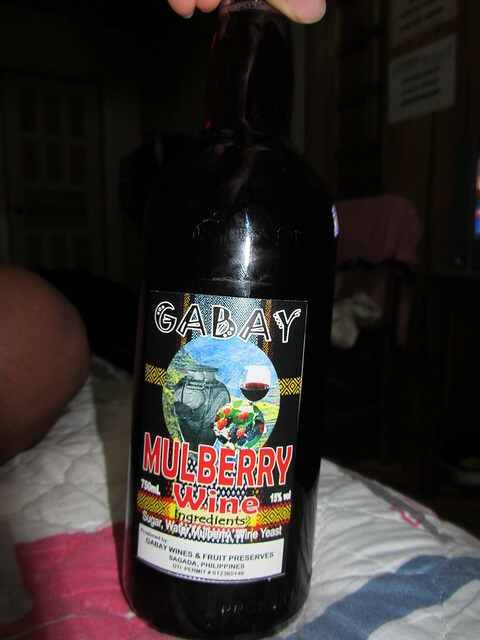 So we bought some fruit wine and relaxed in the hotel ready for a tour the next day. 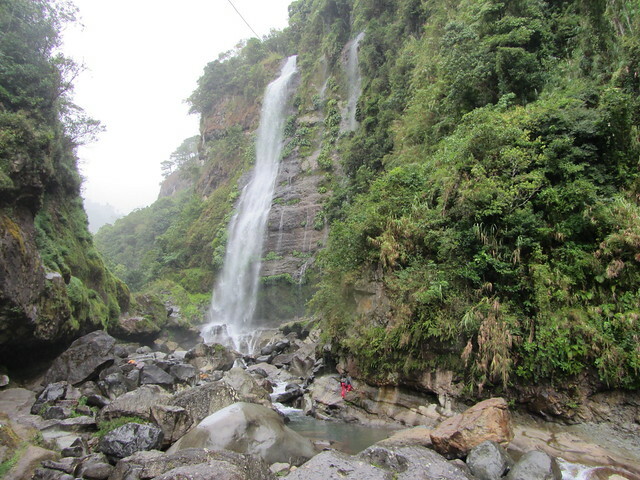 So I decided what I really wanted to see was Bomod-ok Falls (aka Big Waterfall), we asked the tour guides and they said you have a get a jeep to Banga-an and arrange that tour there. 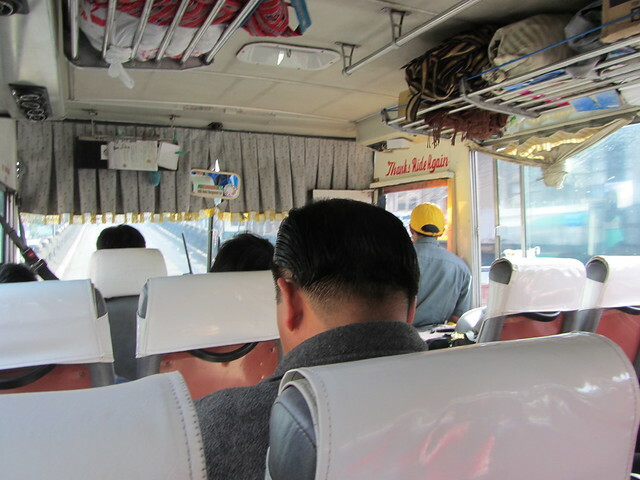 The jeeps are like the local bus of the transport system except that they are old army jeeps with no windows and run a little more randomly! 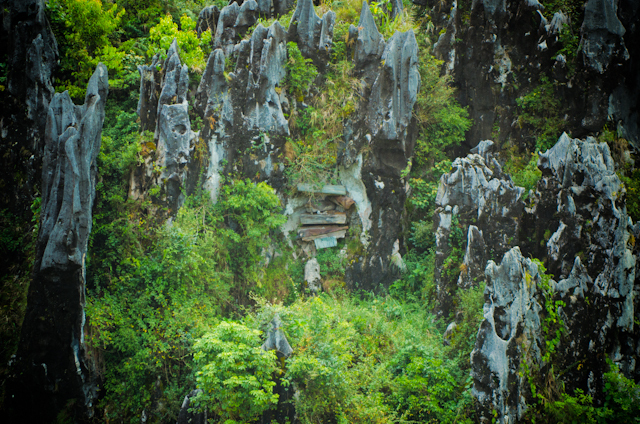 The jeep was going to leave in a hour so we walked to the bottom of Sagada to see the famous hanging coffins. Urm, you can't really see the coffins in the panorama, here's a close up! 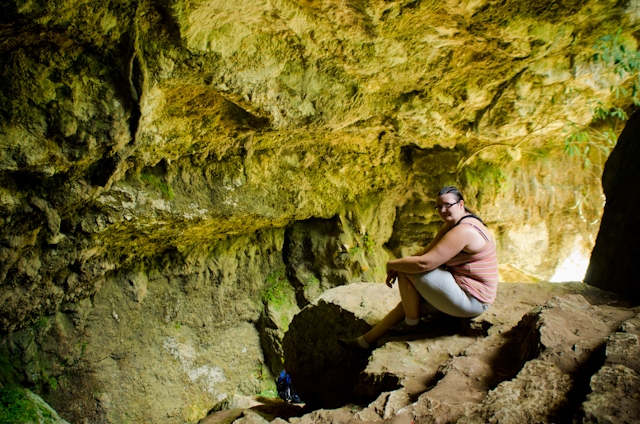 It's something to do with tribal privileges that mean that your coffin can be hung or also placed in a cave, both are seen as good places. 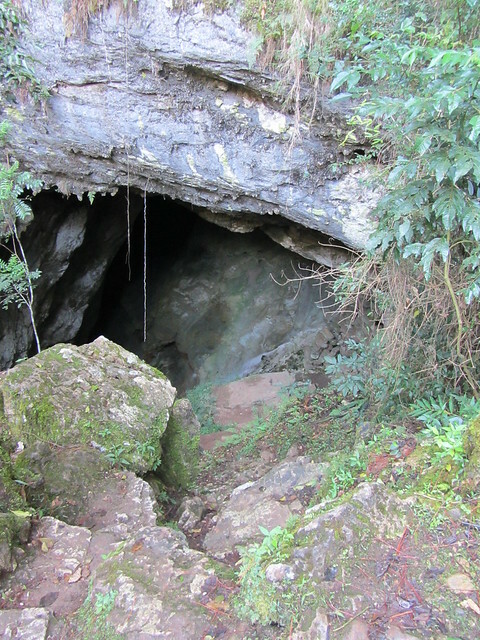 So off to Big Waterfall, I had no idea what I was getting myself into! 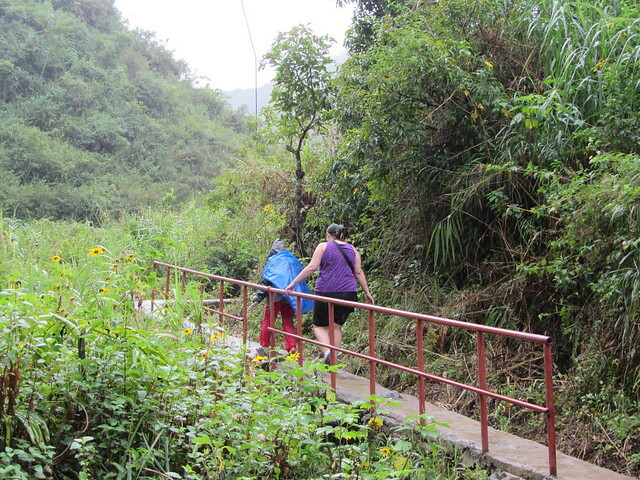 The spot where you meet the guide is just a little hut at the side of the road but from the road it is down a mountain, through a village and across rice terraces in the rain! Our extremely lovely guide Jennifer said the total walk is around 4000 steps there and back total, it usually takes 45 mins each way but took me double that to complete the trip because I'm unfit and unbalanced, particularly on slippery wet stones. Now you can see the village that was our halfway point. And a bit of handrail (that didn't last!). 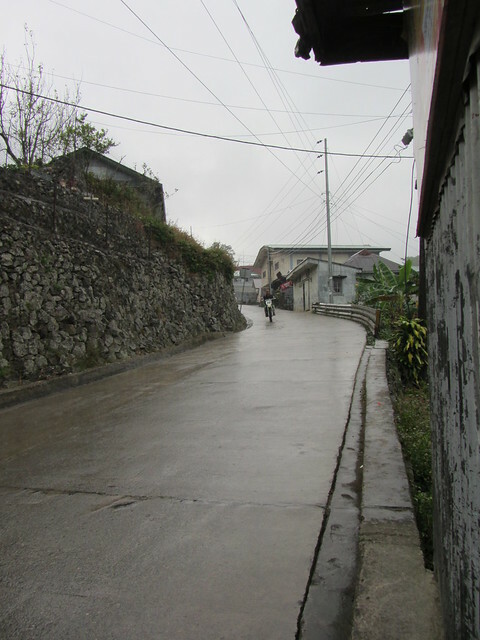 This route is the only way in and out of this village, there's no cars or anything, people were passing us all the time, I felt very hopeless! Here's the final panoramic of the falls. They were located around a corner sort of so it's very like a reward at the end. You can hear but not see! As I did make it, and going back up was easier, Jr took pictures for me on the way back. 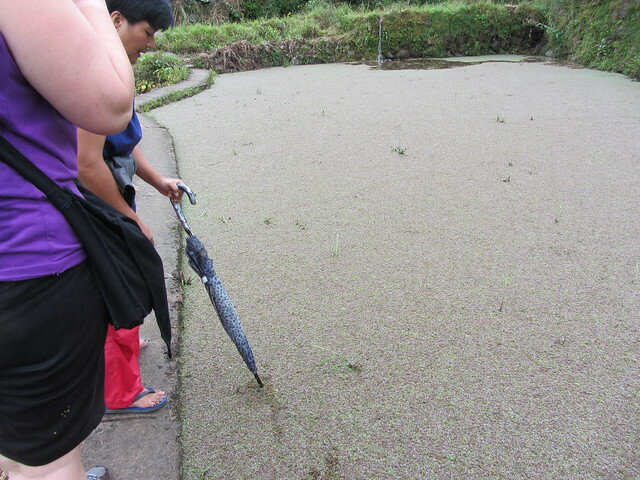 This next picture shows the bit I hated most, walking along the edges of rice terraces which are basically narrow walls next to water, Jr took a picture of my foot print in the mud which is probably still there now from when I slipped but I'm not posting that!! Halfway back, having a break in the village, Jr wanted pictures with the kids (the kids did not want pictures with Jr haha)! 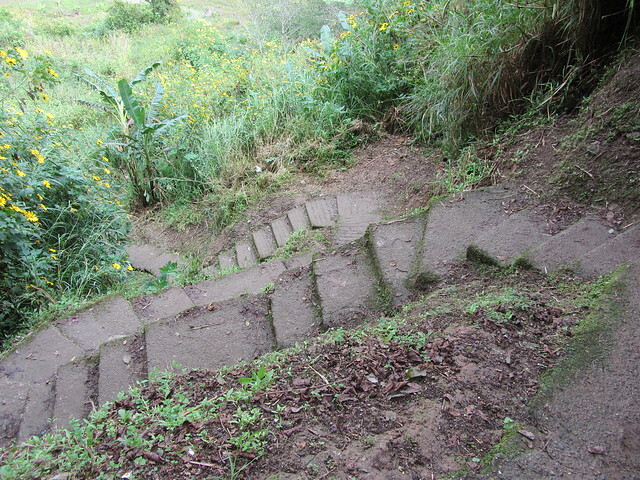 OK so that was day one Sagada. Thing is we didn't do what you are really supposed to do in Sagada so I decided to stay another night and do a different tour on day two. However on day 2, following day 1's adventure, neither of us could walk without pain! So we took it easy seeing the other sights! 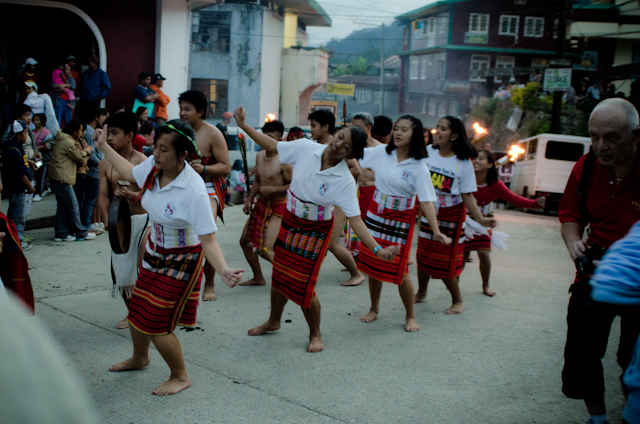 That evening the local schools did a procession through the street. 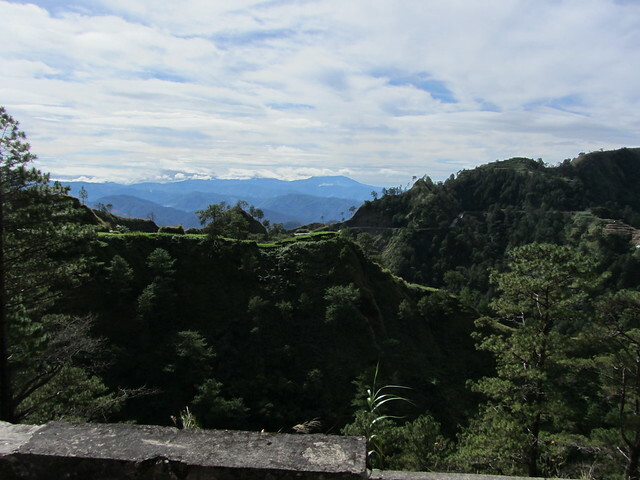 And to finish my post on Sagada, the view from our hotel room.